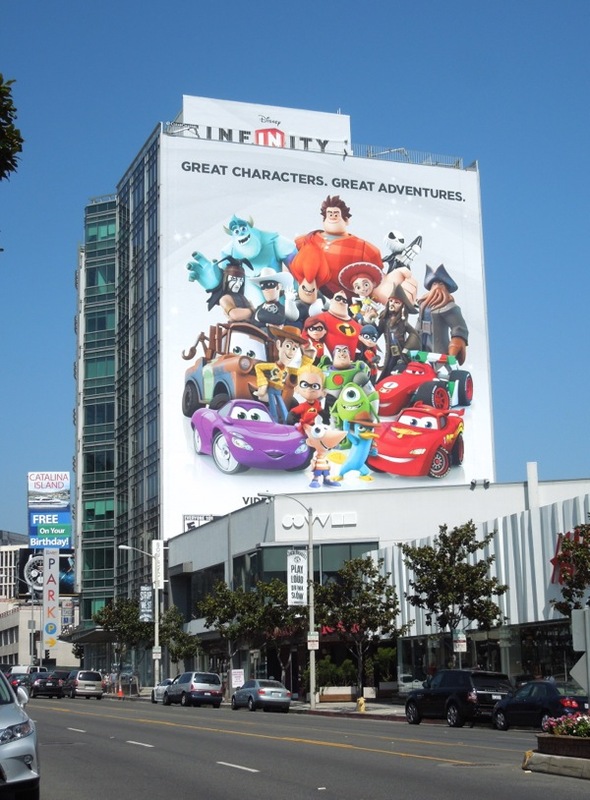 That's where Disney plans to take you courtesy of their new ambitious action-adventure video game which allows you to play your favourite Disney and Disney/Pixar characters all in one place. You can be superhero characters from The Incredibles, big furry creatures from Monsters Inc., seafaring captains from Pirates of the Caribbean, the Pumpkin King of Halloween Town, a sporty little number from Cars, or even your favourite toy from the world of Toy Story (and that's just for starters). 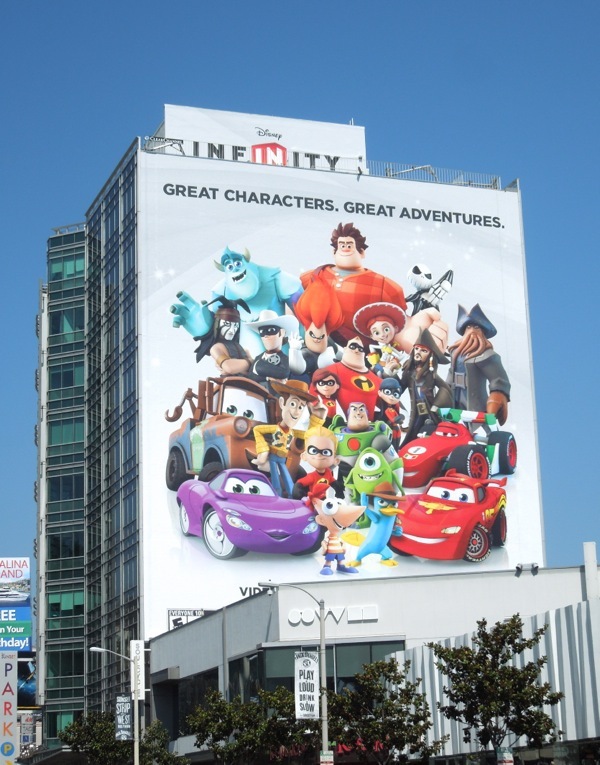 The game really does mix up the more recent Disney universes with beloved characters from feature animation, live-action (although Daily Billboard is sure they're regretting using 'The Lone Ranger' and 'Tonto' so prominently in these ad creatives after the movie flopped at the box office) and even the Disney Channel, with TV cartoon characters like 'Phineas and Ferb'. Plus it also allows the entertainment giant to promote and introduce characters from their forthcoming movies and shows, like Frozen, and other future endeavours. The video game cleverly comes with collectible figurines which synch with the game (kerching!) and in addition to your starter pack you can also buy new characters and worlds to explore (with all Disney's treasure trove of properties, you can imagine if the game is a success, the possibilities are endless). 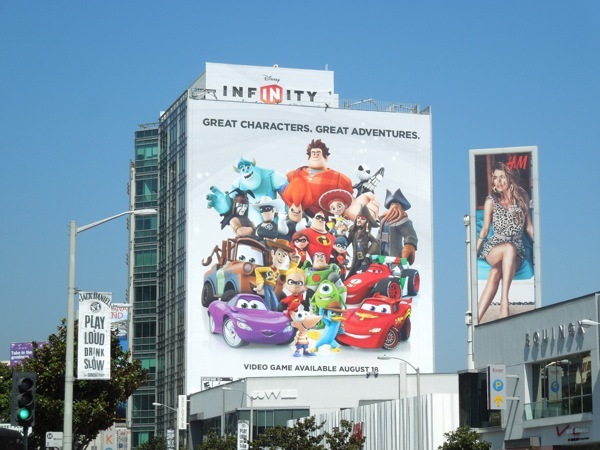 Disney Infinity has two main gameplay modes, you can either enjoy each 'Play Set' which is based on a particular film or series, with recognisable characters and storylines, or customise your own world in the 'Toy Box', where players can build, mix-and-match, and explore their own creations. It sounds like a Disney fan's (and merchandise seller's) dream and Daily Billboard is sure the game will sell like hot cakes. 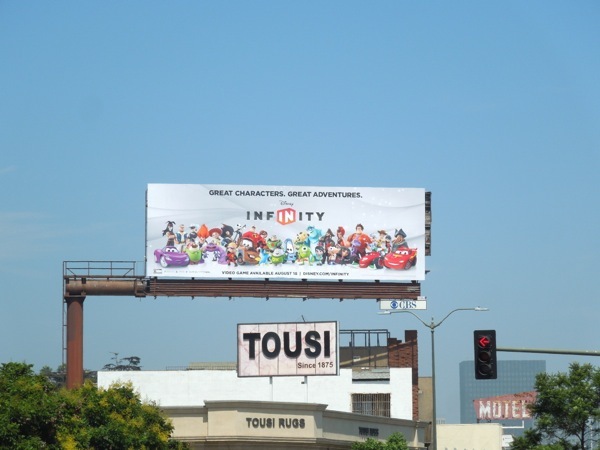 It's not often you see all the Disney properties mashed up and appearing together like this in one place, so it makes these billboard creatives for the new video game even more noticeable (although Mickey Mouse and his friends are conspicuous in their absence). 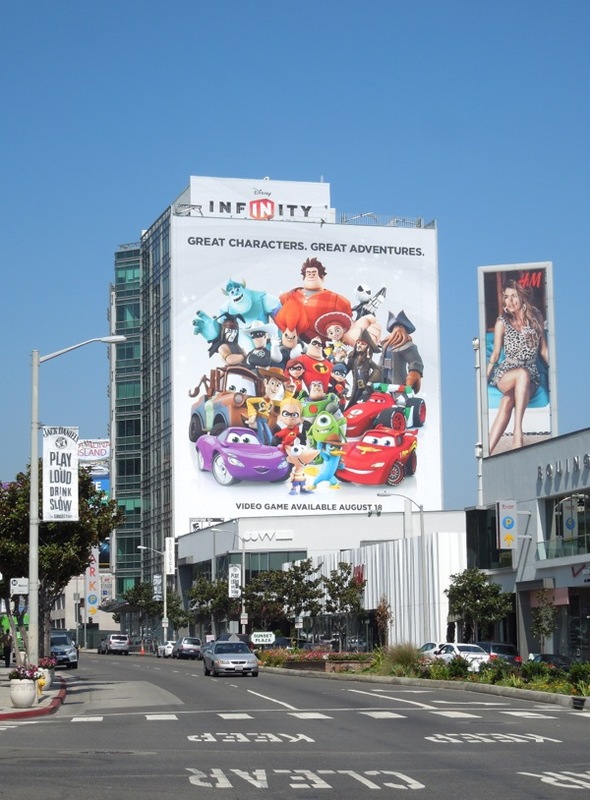 Let's face it, you can't miss this colourful super-sized billboard along L.A.'s Sunset Strip, which was snapped on August 13, 2013. 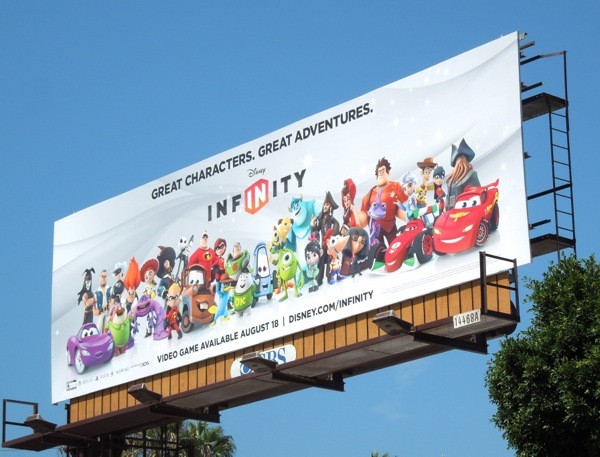 The longer landscape creative manages to fit in even more fan-favourite characters and ads were spied in two different locations along Santa Monica Boulevard on August 15, 2013. 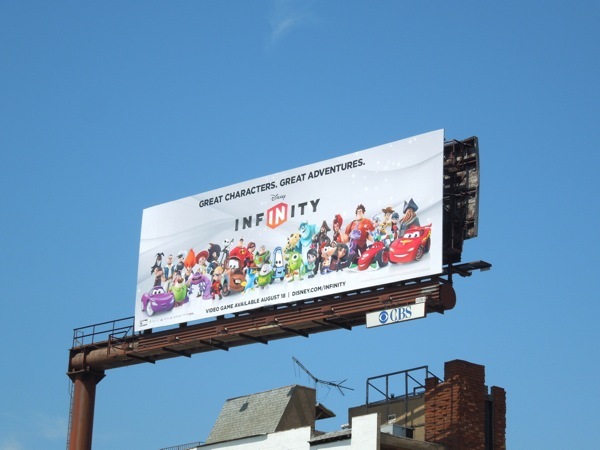 How much of a Disney fan are you, can you name all the characters in these ads for Disney Infinity? 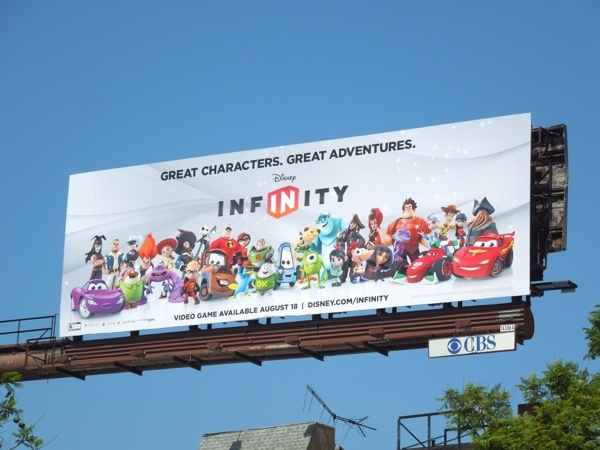 If you like these creatives, be sure to take a look at all these other Disney-themed billboards from previous months and years.